Samsung has announced a new smartphone, the Galaxy J, a device which takes the best elements from the Galaxy S4 and the Galaxy Note 3 and mashes them together into one. However, while the phone is only available in Taiwan and Japan, its design makes it interesting to everyone, as it could give a hint of what’s to come from Samsung in 2014. To promote the Galaxy J, Samsung has released the very brief video you can see below, which highlights the phone’s design simplicity. When the back of the phone is shown off, accompanied by the words, “Just elegant,” it appears the device has a metal rear cover. Anyone who has been following the rumors regarding the Galaxy S5 and the Galaxy F, will know Samsung has been linked with a change to metal-bodied phones for a while, so is the Galaxy J the first of its kind? Sadly, no, we don’t think it is. According to the translated press release, the Galaxy J’s removable back has a, “Hair effect,” which makes it sound like it’s a regular cover with a brushed metal look, and not something more exotic. Additionally, the press release makes no mention of a metal body, and neither does the Chinese site VR-Zone.com in its hands-on preview. The Galaxy J also abandons the flowing lines of the Galaxy S4, and in the photos, is closer in style to the Note 3, but without the leather-look back plate. There’s no doubt the metal effect suits the Galaxy J, and the minimalist redesign, free from the faux luxury of fake leather, makes it look classier too. If this the shape of things to come from Samsung? We’re suitably intrigued if so. As for the Galaxy J’s feature list, it has a 5-inch 1080p screen and a Snapdragon 800 processor running at 2.3GHz, and takes onboard the 3GB of RAM seen in the Note 3, giving it all the power in a more reasonably-sized package. A 13-megapixel rear camera is fitted, and Android 4.3 Jelly Bean is installed, making it compatible with the Galaxy Gear smartwatch. It’s also ready to connect to local LTE-Advanced 4G networks. 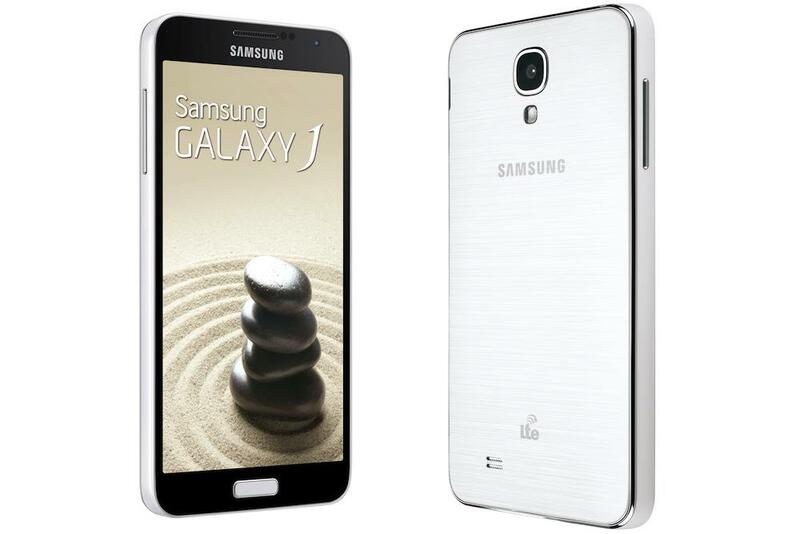 Will Samsung decide to launch the Galaxy J internationally? We could find out at either CES or MWC early next year.